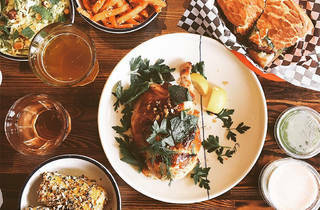 From the husband-and-wife duo behind Rich Table, RT Rotisserie is a 46-seat counter service spot in Hayes Valley offering rotisserie favorites like chicken and porchetta and even roasted cauliflower for those who prefer veggies. 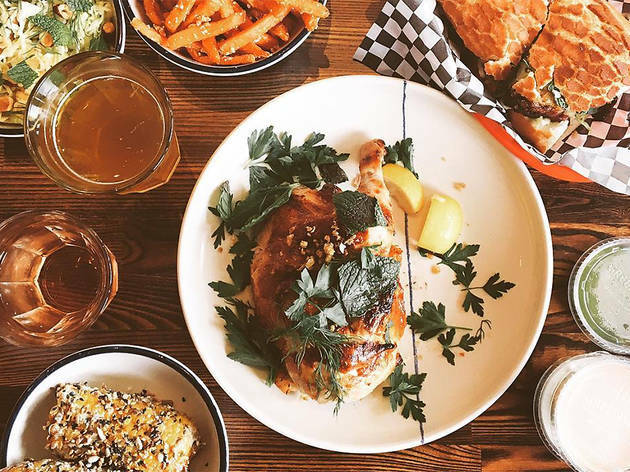 Along with chicken and pork fresh from the restaurant's red Rotisol rotisserie, the menu also offers salads, chicken soup and a hearty array of sides such as charred cabbage, umami fries, and seasonal favorites like elote. For the lunch crowd, there are sandwich versions on house-made Dutch crunch bread.